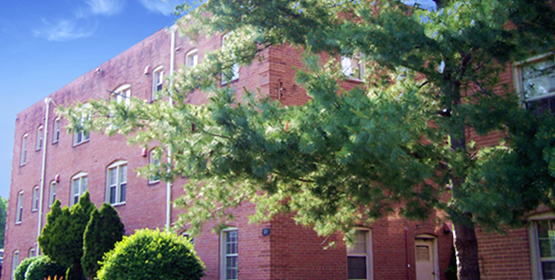 The Arlington County Board on July 23, 2014 approved a nearly $7 million loan from the county’s affordable housing investment fund to Wesley Housing Corporation and its corporate partner Bozzuto to build a new apartment building with mostly luxury rental units at Pierce Queen Apartments in Rosslyn. The project is really not about affordable housing at all, but about a developer Bozzuto building a 12 story new commercial apartment building in Rosslyn with the county government and federal government financing it. It is really an stark example of the county’s failed housing program and another example of the county’s unaffordable housing program. In brief, the project will cost about $36 million and will net the county government about 26 more subsidized units which is about $1.3 million per new unit! The county’s $7 million loan to the developer works out to about $250,000 per CAF unit. The kicker is that all the tenants living in the 78 subsidized units will then have to pay higher rent–and the county will have to pay part of the higher rents because the tenants do not earn enough money! So the county actually made things WORSE for tenants by allowing unneeded renovation. The current Pierce Queen Apartments have 50 subsidized apartments, and 28 additional units (CAFs) will be added. Unfortunately the cost per new unit added is extraordinary high, and in addition rents will be raised in order to pay for these expensive new units. The proposed project will have 78 CAFs, an addition of 28 CAFs. The total cost of the project is $35.6 million so the marginal cost of adding 28 new CAFs is $1,271,000 each. The unit cost for all 78 CAFs is $456,000. Either way, it is ridiculous to be paying either sum for a modest apartment. In terms of the use of the county’s AHIF, the cost per new CAF is $250,000; the cost for the new CAFs and the current CAFs is lower $89,000 per unit. However, the 50 CAFs already at the complex were paid for years ago with federal and county financing and should not be counted. The county government’s housing target is to add 400 new CAFs per year; last year the county added 55. The 78 CAFs at Pierce Queen will be rented to higher income persons: 40 units to renters earning up to 50% AMI and 38 units for renters earning 60% AMI. This project will not meet the county’s housing target that at least 25% of new CAFs be affordable to people earning 40% AMI. Is this the best deal the county government can get to add new CAFs in Arlington, and is this the best use of the limited AHIF funds? The county housing target is to add 400 new CAFs a year, and it cannot done at at a cost of a million bucks per unit nor even at $250,000 of AHIF funds per new unit. Four hundreds new CAF units at this rate would cost $100 million dollars in capital spending annually. 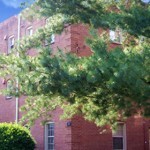 Wesley already received substantial county and federal funds to purchase and renovate Pierce Queen, and is contractually required to keep these 50 apartments for many years more. Why did the county government let Wesley out of its contractual agreement to provide 50 low cost CAFs? The county Board needs to ask hard questions of your housing staff as to why these un-affordable housing projects are so expensive, and how it can find developers who can truly build affordable low cost apartments.